Each tooth has a centre that is filled with soft sensitive blood vessels and a nerve which can for various reasons become infected. Root canal Therapy is necessary to keep your teeth safe and mainly to prevent you from experiencing excruciating pain and discomfort throughout your jaws. Each nerve found in the centre of every tooth is part of a network of nerves. A patient can suffer extremely from the pain if a single nerve comes under attack from caries. The beginning of a tooth infection will usually produce no pain at all, however should the root cavity come under attack, you will experience a sharp pain running through your mouth, swelling of the gums, tenderness in the region, and extreme sensitivity to ice and spice. If left untreated, the infection from one tooth can spread to other teeth as well. Minimally invasive. The amount of healthy tooth structure that has to be removed is reduced to a minimum. Allows clinician to see and treat root canal anatomy that is not visible to the naked eye. Increased precision and predictability of procedure. Photographs of each step of the root canal treatment can be taken and e-mailed to the patient. You cannot treat what you cannot see! Most root canals are extremely tiny and can easily go undetected without a microscope. 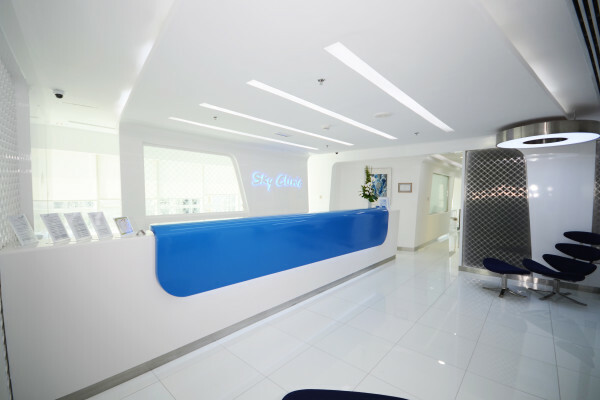 We believe in providing our patients with the very best in all aspects of Dentistry. As a patient, when you undergo a Root Canal Treatment (Endodontics) at Sky Clinic, you will experience the difference. The corner stone of our Endodontic practice is the surgical microscope; a tool that sets the standard of excellence. 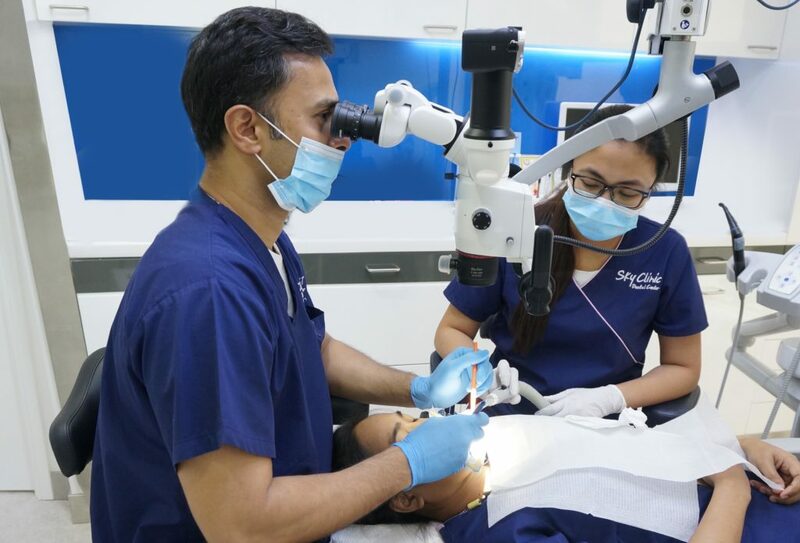 Root canal treatment procedures done by our specialist dentist Dr. Siju Jacob, are performed entirely under Operating Microscope, which allows complete visualization of the main and accessory root canal system. 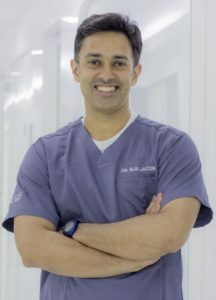 Our vision of successful treatment outcome is based on our use of cutting edge technology, knowledge and skill; the unique combination that results in very high long term success. Over 15 years experience in Microscopic Endodontics.